The 12th edition has brought together professionals from 12 countries, visitors from another 81 and more than 30,000 people. 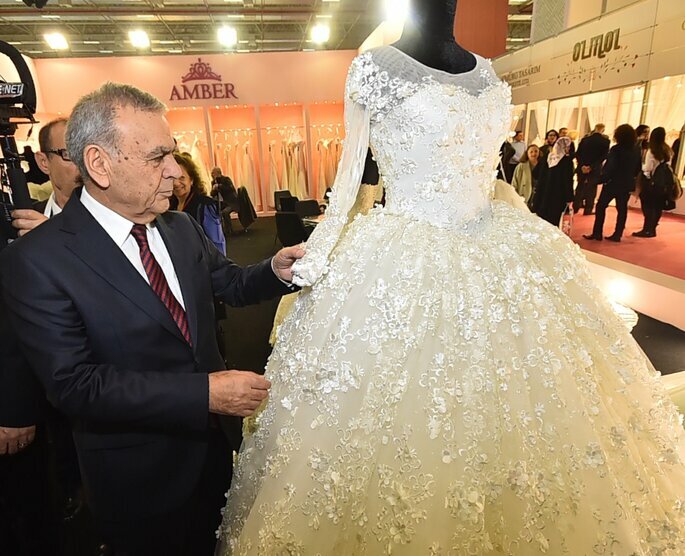 The 12th edition of the IF Wedding Fashion Show, a fair exhibiting wedding dresses, suits and evening dresses from all over the world, took place in Izmir, Turkey last week. The show brought together nearly 8,000 buyers from 81 countries as part of Fuar Izmir, the most important fair in Turkey. The fair was visited by hundreds of national and international suppliers, dedicated to all aspecting of the organisation of a wedding. These suppliers flew from countries such as China, France, Hong Kong, India, Israel, Iran, Spain, Kuwait, Lebanon, Russia and the United States, as well as numerous Turkish provinces. All of them have met the needs of the 8,000 buyers from 81 countries. In addition, renowned models from around the world participated in the catwalks. The event, held from January 16th to 19th, gathered more than 30,000 visitors from around the world. The pinnacle of the four days was the main catwalk, organized by last year’s winner, Amor Gariboviç. 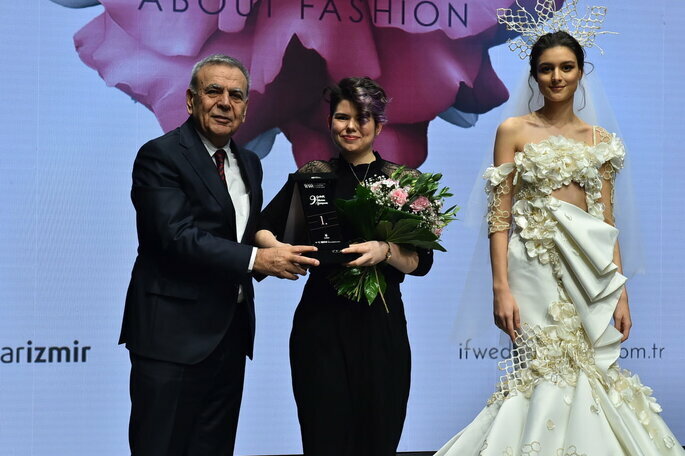 On the second day, Gariboviç’s demonstrated why she won with a 38-piece collection of wedding dresses and suits called Perla, whilst some of the most prominent models in the country, Cağla Şikel, Özge Ulusoy and Irmak Atuk, had their moment on the catwalk. Maryna Linchuk, one of Victoria’s Secret Angels, was one of the great attractions to the event. 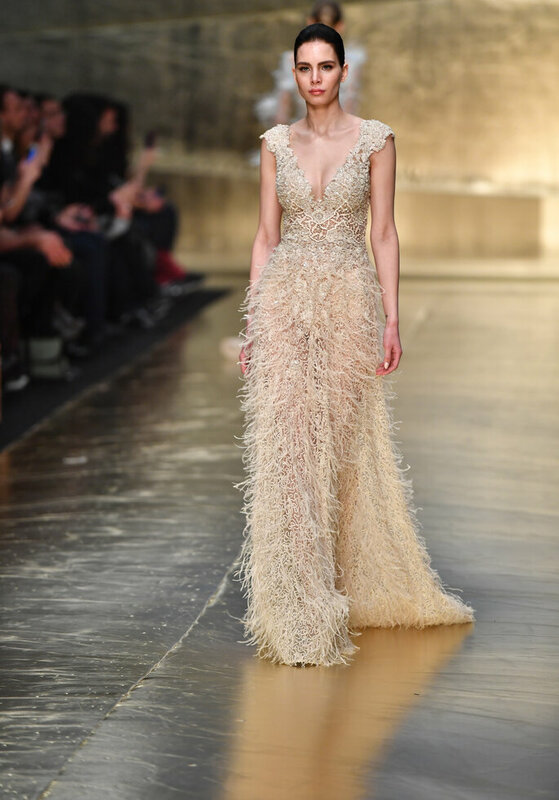 She paraded the catwalk as part of the “AlfaBetaSS 18 Couture” show from AlfaBeta. Directed by Öner Evez, the show featured 40 exclusive evening dresses for the occasion. With models such as Ayşe Hatun Önal, Merve Büyüksaraç, Tuba Melis Türk and Ece Begüm Yücetan showcasing some of the most inspiring garments. This was one of the best aspects of the event, having been launched for the first time this year. In the International Area, world-wide participants were able to attend talks designed to encourage the making of international connections with other members of the sector, as well as to establish collaborations with suppliers from other countries. The 9th Bridal Dress Design Contest, composed of senior executives and experts in the field, gave new, talented designers the chance for their work to be recognised. 363 inspiring designs were entered into the contest under this year’s “Party” theme, and Kansu Sarıkan, from Mimar Sinan University, won the first prize. The fair is organized by Izmir Fair Services, Cultural and Art Affairs (İZFAŞ), İzmir Metropolitan Municipality and has partners such as the Aegean Clothing Manufacturers Association, adding more prestige to an event that triumphs each year. 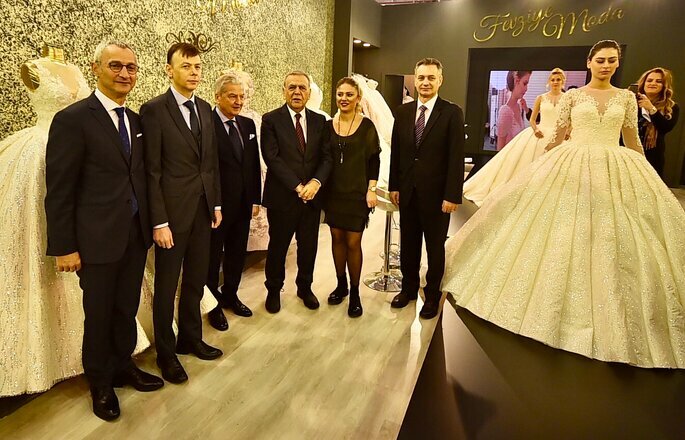 This is great news for Turkey, Europe and the entire bridal sector, destined to continue growing and expanding its amazing charm. Thanks to these fairs, the results will get better every year!